Silicone Bowl Covers: Have I Made a Terrible Mistake? Mindful Echo is struggling with an eternal conflict: leftovers vs laziness. In my ongoing quest to reduce and eliminate disposable and plastic items from my life, I sometimes find myself in conflict with another of my life's goals: not washing dishes. So when it comes to food storage, I'm torn. Sure, throwing leftovers into a glass container might be the most environmentally-friendly move, but it also means having to transfer all the food and dirtying another container. If that container isn't oven safe, I then have to dirty even more dishes when reheating the leftovers the next day. See my dilemma? Obviously, while aluminum foil and plastic wrap are the far more convenient choices for food storage, they are also major contributors to our overflowing landfills. When I do need foil for something, I actually try to save it and use it several times before throwing it away, thus easing my guilty conscience at least marginally. A couple of months ago I was shopping at an eclectic local store when I stumbled across a set of silicone bowl covers. In three sizes, heat proof, and for less than $20, I snapped them up. I've been using them constantly since I made the purchase and I have found them highly effective for keeping my food fresh in the fridge for a couple of days. The silicone suctions to the rim of the bowl/jar and seals out air. They're also easy to wash off and save me the hassle of doing more dishes. What I'm wondering though, is if I've just contributed more to the problem. Silicone is not exactly environmentally friendly, although they're definitely getting more use than their disposable counterparts. Were they a mistake? Should I have just gone glass? Fellow eco-bloggers, I need either a hug or a slap on the wrist here. Is this a food-saving FAIL or a wonderful WIN? A couple of weeks ago, someone I follow on Twitter posted the following tweet. Some environmental problems seem beyond the power of personal environmentalism. Climate change, for instance. Rebuilding our transportation system, maybe. 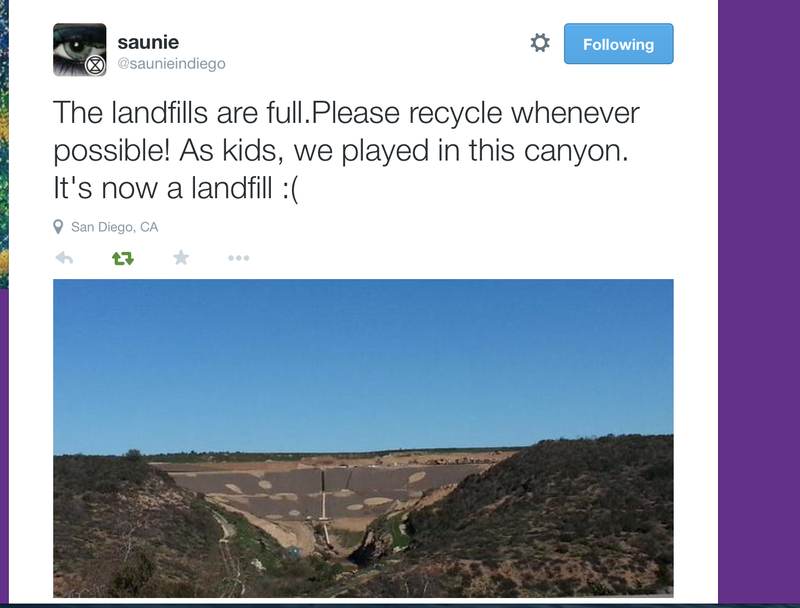 But reducing the amount of landfills our society needs? That is a piece of cake, people! Buy less new stuff. Non-recyclable packaging takes up a ton of landfill space. Buy used stuff. 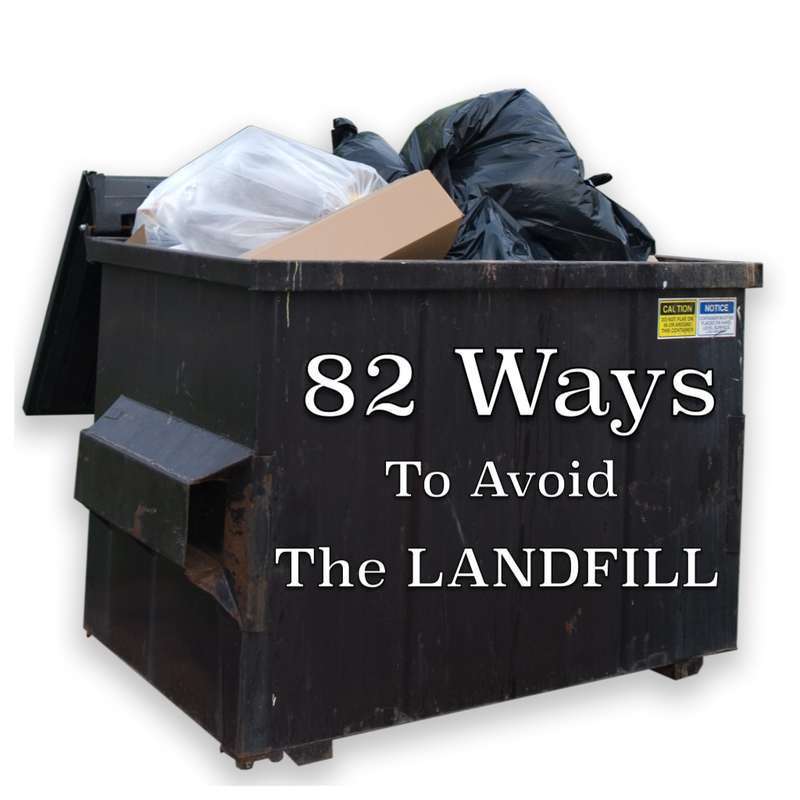 You keep it out of the landfill and avoid packaging. Bonus points! Find multiple uses for the things you do buy. For example - cinnamon: spice, pest repellent, rooting hormone (for propagating plants). Swap your old clothes and other items with friends, neighbors, etc. Borrow instead of buy. The public library is a great place to start. Buy less stuff - even used. Switch to e-bills instead of paper bills. Cancel magazine subscriptions and read them electronically instead. Cancel the newspaper and read it electronically. Buy fewer beverages in containers. For instance, it is cheaper and healthier to make ice tea than to buy it. Drink less juice. It's not healthy anyway. If you do dairy, buy milk or yogurt in returnable glass bottles. Buy in bulk. Use your produce bags here. Used dried beans, instead of canned. Buy them in bulk or paper bags. Buy bar soap (in paper or no packaging). Buy baked goods - bagels, bread and muffins. Buy the biggest size available and avoid "snack packs." Use reusable lunch boxes and containers. Pack more homemade or bulk items in lunches to reduce waste. Ditch paper towels. Use cloth dish towels instead. Ditch paper napkins. Use cloth napkins instead. Use regular dishes and cutlery instead of disposable. Ditch the K-cups and make coffee the old fashioned way. Plan your weekly menu to reduce food waste. Inspect your fridge, pantry and garden before making a grocery list. Every week to month, do a clean of your fridge, to use up perishable items. Every six months, do a clean out of your pantry and freezer to use up items. Make "Clean The Kitchen" vegetable soup and similar recipes to use up perishables. Make your own soup stock. Freeze what food you can. If you have toddlers, try early potty training. Try to make more homemade foods - bread, yogurt, jam, waffles, pizza, muffins to reduce packaging waste. Buy traditional clothing styles instead of the newest, more fashionable. Ditch disposable cleaning products - like Swiffer - and make your own. Use what you have up to the last drop. For instance, squeeze the toothpaste holder. Return reusables to the grocery store and farmers' market. Use both sides of paper and print less. Switch to LED lights. They last longer which means less waste over time. Reuse sticks and twigs in the garden to create raised beds. Reuse broken pots and pinecones as drainage for potted plants. Reuse egg shells in your garden. Reuse leaves as mulch or leave them where they lie. Plant from seed or propagate your own plants to avoid waste from the nursery. Shred soiled paper for the compost or the chicken coop, if you have chickens. Reuse egg cartons, yogurt containers for starting seeds. Or better yet, milk jugs! If you have babies, try cloth diapers. Repair items instead of throwing them out. Do minor remodels instead of big. For instance, reface instead of replace kitchen cabinets. If you are female and menstruating, try reusable pads or cups. Bring your own coffee cup - or ask for a "here" cup at coffee shops. Bring your own to go container. Return styrofoam peanuts to packing stores for reuse. Save bubble wrap for future packing or offer it on freecycle to ebayers. When you buy products, look for those with less/no packaging or at least packaging that is recyclable (or compostable if this option is available to you). Advocate for better recycling facilities in your area. Advocate for plastic bag bans. Wrap gifts in reusable bags or boxes instead of gift wrap. Reuse your ribbon from gifts. Reuse decorations for holidays and birthday parties. Reuse your glass jars and other containers. Reuse all plastic bags. Cereal bags, tortilla bags and such can be used for doggie waste, litter box clean up, etc. Set up a box for items headed to landfill to be reused for kids' crafts. 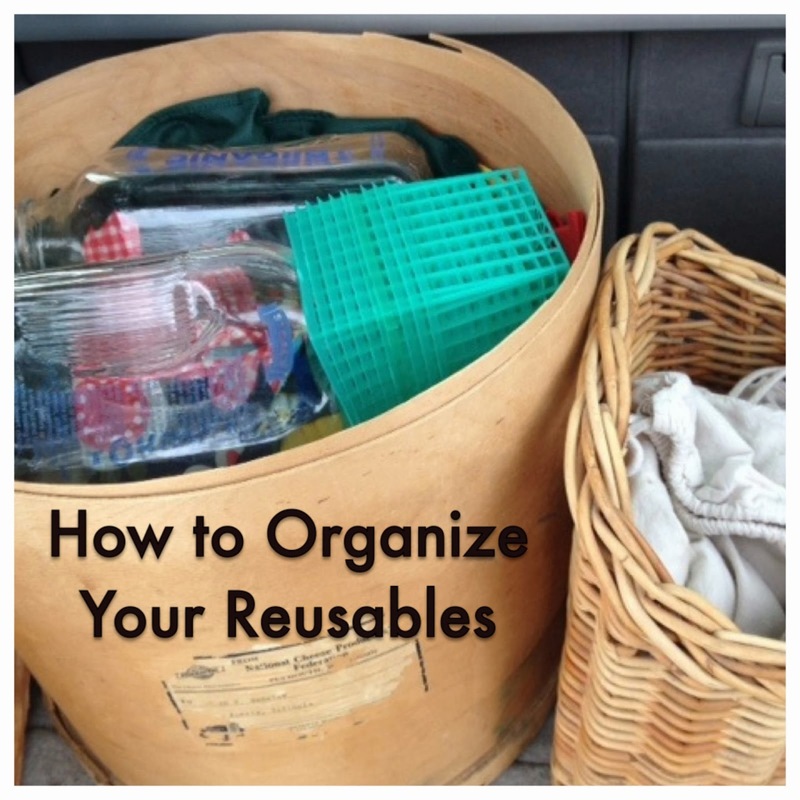 Organize your reusable items. That way, the eraser or paperclip will really be reused. Reuse old clothes for patching new clothes. Reuse old clothes for rags. Reuse old clothes to make shopping bags. Reuse stuffing from old furniture and stuffed animals for sewing. Spend days, weeks, months, perusing Pinterest for ideas of upcycling and reusing. Recycle everything that is left and follow your municipal recycling guidelines to prevent your recyclables from being tossed or contaminating other recyclables. Return your wine corks to the super market for recycle. Offer your broken items up on freecycle or Craigslist to see if any handy people want them. These are just my ideas. Please, add your own! Reducing waste is one of the easiest ways to go green. Let's preserve our natural places for wildlife habitat, hiking and enjoyment - not trash. 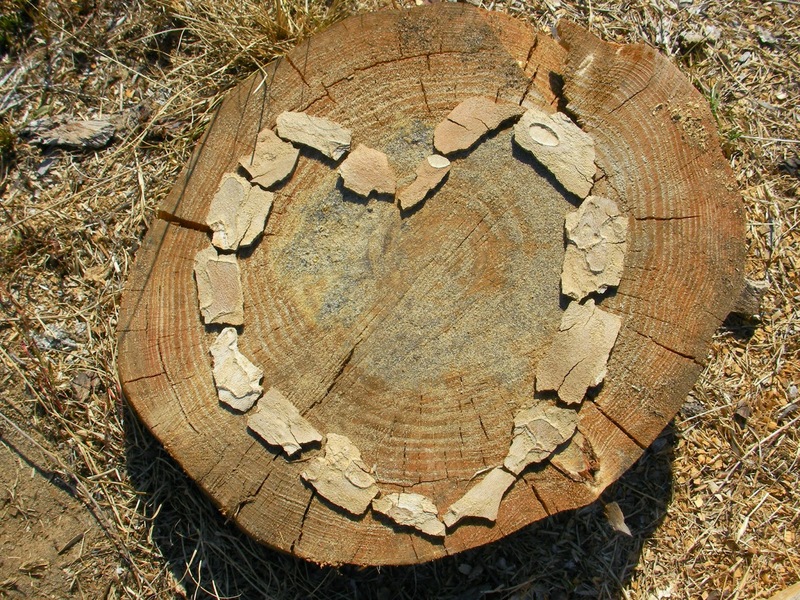 The Climate Crusader is thinking about how to express your love sustainably in the Valentine's Day aftermath. Valentine's Day may be over and done with for 2015, but that doesn't mean it's too late to express your love for that special someone in your life. After all, we all enjoy receiving affection on any day of the year. And it might even be better when flowers aren't five times their usual price and you can actually get a table in a restaurant. So how can you say I love you anytime, while keeping it green? Here are some suggestions. The Urban Earthworm has green holiday card suggestions, but they really do work well at any time of the year. Your first option when sending greener greetings is to go paperless. E-cards sometimes seem a little cheesy, but saving a tree makes up for it. You can also make your own cards out of materials you have on hand. If you opt to buy a card, look for post-consumer recycled content or the FSC logo to tell you that your cards are as sustainable as possible. I recently wrote about choosing green chocolate. The upshot is that there are three certifications commonly used to indicate that your chocolate is more sustainable - fair trade, UTZ Certified and Rainforest Alliance. While they all have their pros and cons, any of them offer an advantage over opting for conventional chocolate. The good news is that more and more large companies are certifying their chocolate, so it's easier to find than ever. But keep in mind that organic certification is different from fair trade, UTZ or Rainforest Alliance, if that is important to you. Much like food, many of the flowers that we buy are grown using pesticides and shipped long distance. This is especially true in the winter months. I live in Canada. Roses don't grow here in February. So what can you look for in sustainable flowers? When possible, buy local. When it isn't possible look for third-party certifications like fair trade. Some florists - and even some big grocery store chains - specialize in sustainable blooms, so ask questions. Here's more info on eco-friendly flowers. Perhaps the best way to say I love you in an environmentally-friendly way is to give experiences instead of things. Spring for a sitter so that you and your main squeeze can enjoy a kid-free hike or bicycle trip. Take a class together. Give a massage. Write a poem. See a play or a movie. The options are endless, and at the end you won't have a pile of garbage as a reminder of your celebration. How do you express your love and keep it green at the same time? For the past few years Nova Scotians have had access to Efficiency Nova Scotia, an organization specifically created to support Nova Scotians in their (our) quest for green living. Part of the service Nova Scotians get for "free" is a visit from an Energy Efficiency professional. Actually, my parents got a visit from them over a year ago. When my own mother raved about how they changed all their lightbulbs to the "curly kind", wrapped her water heater and put a "use cold water" sticker reminder on her washer... I knew we had to follow suit. Two months ago I called and finally today we had the visit, a full year after we moved into our new home. Although it was almost painful to wait this long with incandescent bulbs (seriously, who still buys those??? ), I'm glad we did. 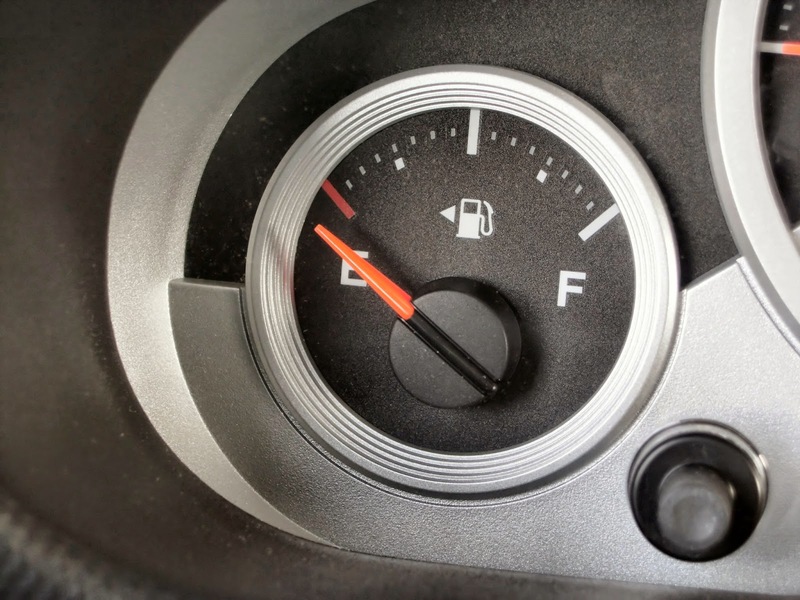 It allowed us time to tinker with heating, try all the things we know how so that we could really take advantage and ask the questions we just couldn't figure out. Cool parts of the visit? The Energy Efficient Professional or "EEP" we'll call him, totally replaced 32 of our light bulbs (all the bulbs that we hadn't already replaced) with LEDs. YES. He also fitted all our sinks with aerators (to add oxygen to the water and decrease actual water used) and replaced a shower head. He didn't wrap anything in the basement since our water is heated by a boiler, which he said was perfect as is and didn't need insulating. Windows: According to EEP even uber "insulating" windows still aren't all that great at keeping the cold out. Even the best windows only have an "R" value of 4 or maybe 5, and ours likely are already a 3 (walls and insulation would be 20 ish). His suggestion- the gross plastic shrink wrap on all the windows. Sigh. Air is a great insulator, and the plastic wrap allows for a couple of inches of air between the room and the window. I'm considering it. He did say that our shutting our curtains at night, particularly the ones that are flush in the window sill, is a good strategy. Time to heat the kitchen: The kitchen area is large and we have lots of windows. The end. So... other than a few other little tidbits here and there (placing child protector caps on electrical outlets to stop heat from escaping around the non insulated boxes, replacing the weather stripping around the doors, waiting to purchase a heat pump until price goes down), that pretty much is the extent of his visit. Just the light bulbs totally makes the visit worth it. I derive more satisfaction and joy from homemade cleaning concoctions than a person probably should, even though I'm not necessarily a clean freak. I think my love of homemade cleaners is found in the principle of them. To be honest, I don't know if it's the frugal or au naturale part of me that enjoys the idea of homemade cleaning solutions more. The eco-friendly granola girl in me likes the homemade cleaners because they give me peace of mind. I don't have to worry about my kids coming in contact with toxic sprays and cleansers. No fumes, no skin irritants, no poisons to ingest. I don't have to worry about the effects of my homemade cleaners on their ever-growing and developing bodies and brains. I also love that I don't have to worry what kind of chemicals I'm washing down the drain or flushing down the toilet when I use homemade cleaners. Last week, Green Bean wrote a wonderful post about the ways green living can be a labor of love and she mentioned my love for homemade cleaners (particularly when vinegar is involved). So, today, I thought I'd share my three favorite homemade cleaners, the ones I use the most, my trifecta, if you will. These three cleaners are: all-purpose cleaner, glass cleaner, and soft scrub. They're suuuper simple to make and only take a few basic ingredients -- ones you very likely already have on hand. I use this all-purpose cleaner pretty much everywhere in my house, especially in my kitchen and bathrooms. People sometimes balk at the idea of using vinegar to clean their houses, fearing that their house will smell like salad dressing or something. Not so. Once the vinegar dries, the smell goes with it. 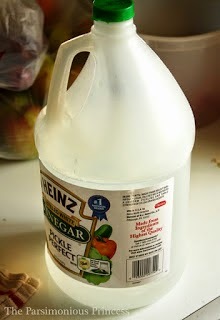 Vinegar (the straight 5% solution at the grocery store) is a wonderful cleaning product because it kills 99% of bacteria, 82% of mold, and 80% of viruses. To make this cleaner, simply mix equal parts water and vinegar in a clean spray bottle. That's it. I like to add a few drops of essential oil just to give it even more cleaning oomph and to leave a nice smell behind (the essential oil smell lingers, but not the vinegar smell. Weird, huh?). A few of my favorite oils to use are lemon, wild orange, tea tree, or the doTerra oil blend called Purify. Another variation on my all-purpose cleaner is to make citrus-infused vinegar. 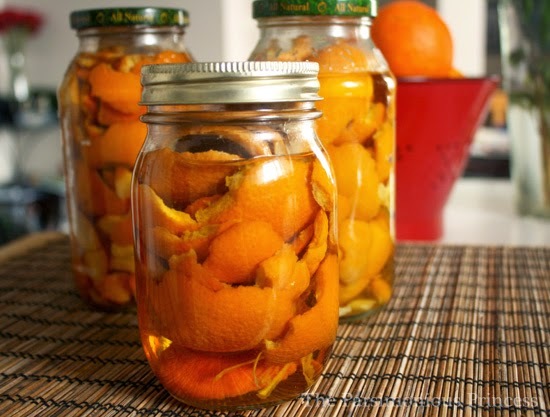 To make it, all you need to do is soak some citrus peels (I use orange peels) in vinegar for about 2-3 weeks. Use this vinegar diluted with water, as in the directions above. What's great about using citrus-infused vinegar is that the oils in the peels are anti-bacterial. This concoction is great -- I've even used it when I've scrubbed down my chickens' house (it cleaned it really well, plus the citrus is supposed to deter bugs). Plus, right now is the perfect time to whip up a few jars of citrus vinegar since citrus is in season. I came across this recipe years ago on Pinterest. This stuff is awesome. Works better than any other homemade glass cleaner I've tried and is just as good as the blue window cleaner at the store. It works great on both mirrors and windows. In fact, whenever we've had to help clean at our church building (and our church has lots of glass doors and windows), I bring this homemade glass cleaner because it works better than the commercial stuff they have there; I've actually had people ask me to bring it so they can use it instead. Give the mixture a good shake and you're ready to go. I still don't like cleaning glass, but this concoction definitely makes it easier. For years, I cleaned the bathtubs in my house with only baking soda. I'd mix the baking soda with some water to make a paste and then I'd scrub the tub with a brush. It worked really well, but it definitely took a bit of elbow grease. Then I came across the idea to mix baking soda with castile soap. Holy moly, it made things so much easier! 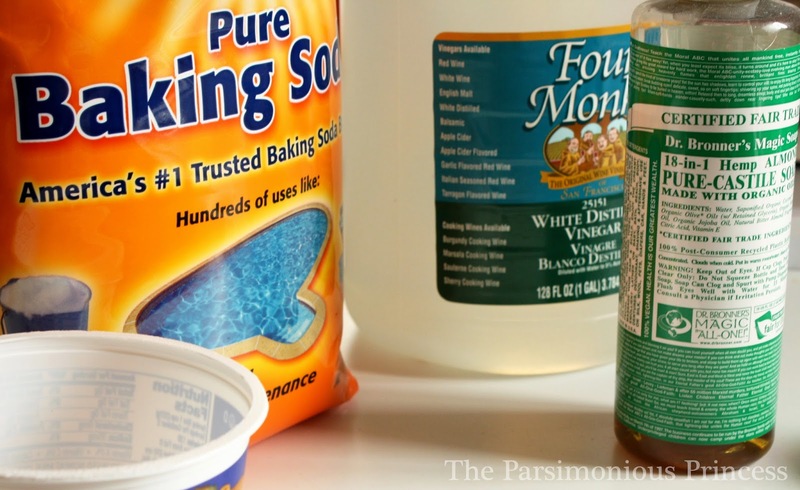 Add the baking soda and castile soap to a container. I use a washed-out 16-oz. 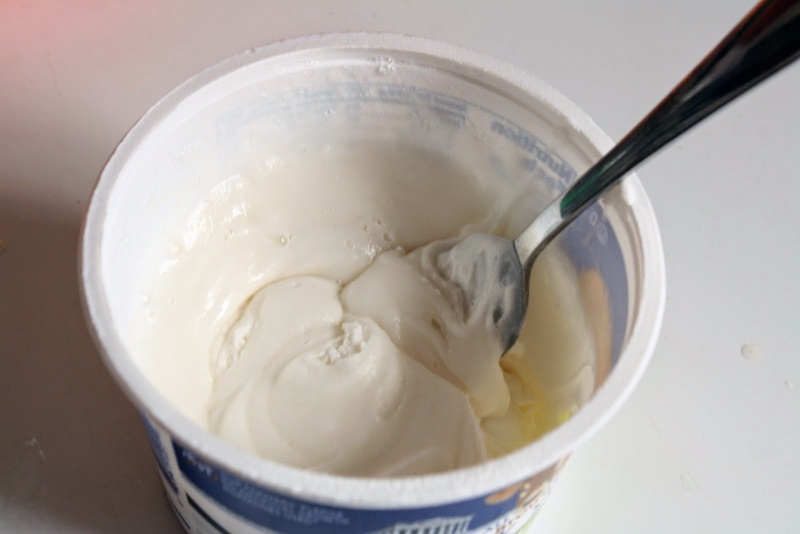 plastic containers from things like cottage cheese or sour cream (since you want a container with a lid, this type of container works well. You can use any container, though. I'm just always on the lookout for a random reuse!). Add the water and stir with a fork. This scrub will dry out over time, so I wouldn't recommend making large batches of this recipe (unless you've got lots and lots of tubs to clean). This recipe makes enough to clean about 2-3 average-sized bathtubs. I use this soft scrub all over my bathroom, though, not just in the tub. It works well in sinks and in the toilet, too. Switching to green cleaners can be a bit of a paradigm shift for people. Most people equate clean with the various chemical and/or soapy smells you find in the cleaning aisle at the grocery store. I remember when my mom, who wielded the bleach jug regularly when I was growing up, was a bit skeptical when I told her I cleaned my bathroom with baking soda and vinegar. But then she tried it out and now uses homemade cleaners more and more (though she hasn't completely ditched her bottle of bleach) -- in fact, she loves the soft scrub recipe! The great thing about homemade cleaners is that you can try all sorts of recipes and concoctions without much expense. 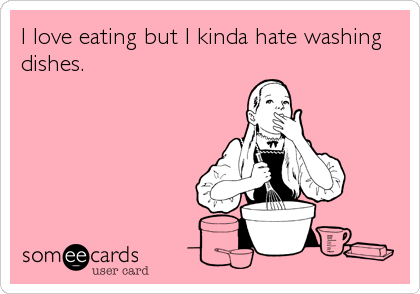 Believe me, I've had my share of failures (I still have yet to make a homemade dishwasher detergent that works well...). But when these simple formulas work, it's not only exciting (hooray for saving money! ), but it's empowering because, in this simple act, you take more control of your finances, of your family's well-being, and the well-being of the planet. As you can imagine, I'm always on the lookout for new homemade cleaner recipes -- please share if you have a favorite! Note: I have not received any compensation for writing this post. I have no material connection to the brands, products or services I have disclosed. You care about your kids' future. Or the planet. Or the open space and wildlife. Or your health. And so you decide to "go green". You recycle more and shop less. You use reusable bags and eat local food and bicycle. You compost and grow a garden and bake your own bread and spend your time reading the back of deodorant bottles. And at some point, it becomes, well, too much. 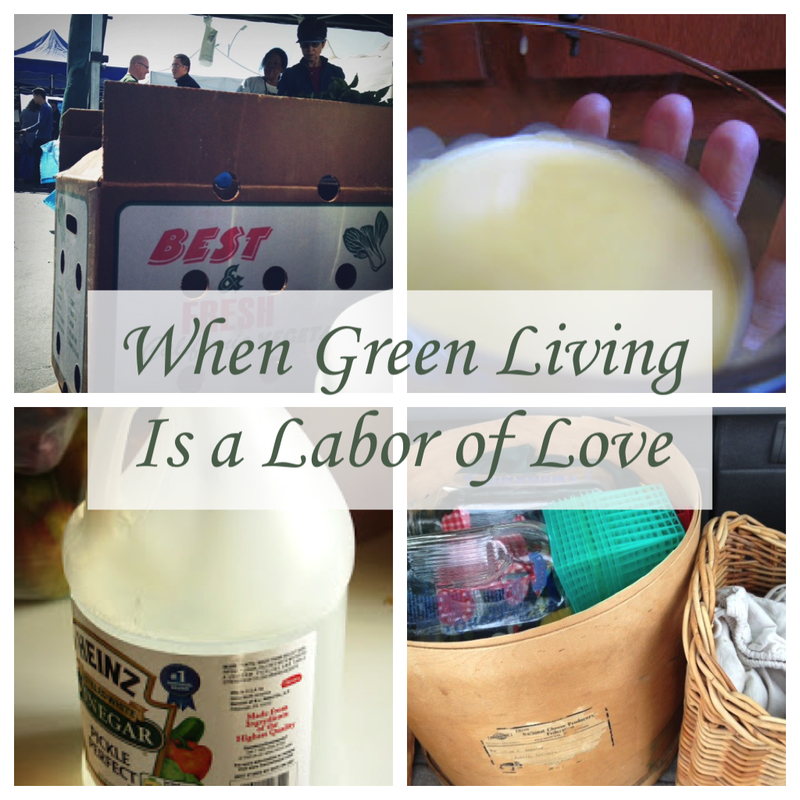 Green living should not be a chore. By focusing on the fun stuff, we can stick with our positive lifestyle changes and, maybe, add more. 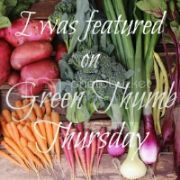 If you are looking to extend your lighter living choices, here are a few things that the superheroes of the Green Phone Booth find irresistible. Doing it yourself offers all kinds of benefits. Boothers are addicted to saving money, eliminating nasty ingredients and enjoying the fruits of their labor. Eco-Yogini loves her homemade beauty products - in particular, honey face wash, beeswax hair pomade, whipped body butter and homemade soap. She gets to avoid all the endocrine-disrupting, cancer causing things lurking in store-bought personal care products and saves a bundle. Parsimonious Princess is on the same wavelength. She love, love, loves homemade cleaning products. It gives her peace of mind, especially with little ones, and is such an easy way to save money. Check out her homemade liquid laundry detergent or read about her love affair with vinegar as a cleaner. Swoon! Eco-Novice is all about cooking and baking from scratch. It is healthier, less expensive and tastes better. Over the years, she has shared some killer DIY recipes: taco seasoning recipe, trail mix, and vegan pancake/waffle mix to name a few. Money cannot buy happiness but it can buy locally grown produce from your farmers' market, and that's basically the same thing. Eco-Novice and Green Bean are farmers' market regulars. Eco-Novice heads to her farmers' market because growing a vegetable garden and tending an orchard are not for everyone. Green Bean shops there because, well, she has to! Once you go local, she attests, you can never go back. Some times, green living is as easy as investing in a few products - compost bin, reusable sandwich wraps, and so on. Emerald Apron swears by the reusable water bottle. Use it daily and think about all the waste that reduces! Green Bean's Tips for Organizing Reusable Bags and More. Green Bean would never go back to disposable shopping bags. She had been using reusables for years but slipped up every now and then. Then a plastic bag ban went into effect. Green Bean went cold turkey - and now feels downright dirty when a plastic bag comes home. What aspects of eco-friendly living to you love? What do you do for the sheer love of it - not the guilt? Most of our posts only get shared with 10 of the 1000+ people who have liked us on Facebook. To ensure that all of our posts show up in our followers' feed, we are transitioning to a Facebook group. Please join us and stay in the loop with the Booth!